In this episode, Jim DeMaria speaks with Carol Sebastian RN. Learn more about Jim and careers in dialysis nursing at www.RenalCareRNS.com. Follow the Nurses Station on Twitter. Join us for more rollicking discussions on Facebook. CLICK HERE to subscribe to The Nurses Station podcast in iTunes. It’s easy…and free! In this episode, host Jim DeMaria speaks with Kirby Best of Performance Sleepware, makers of some might comfy scrubs! Learn more about Kirby and his company at www.PerformanceSleepware.com. Send us your questions and comments. Jim will read them on the air. This episode is brought to you by Renal Care Registered Nursing Services. Providing acute dialysis and plasma exchange services to Metro New York-area hospitals for nearly 20 years. Learn about rewarding careers in dialysis nursing at www.RenalCareRNS.com. 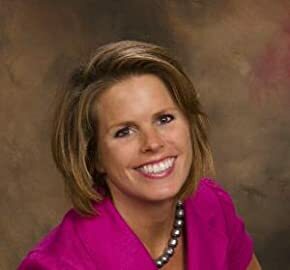 In this episode, host Jim DeMaria speaks with Dr. Elizabeth Lombardo, clinical psychologist and the author of “A Happy You: Your Ultimate Prescription for Happiness”. Dr. Lombardo has helped hundreds of clients achieve and exceed their physical and personal goals. She has been quoted by some of today’s top media including CNN, MSNBC, Newsweek, Elle, Glamour, Redbook, Woman’s’ Day, Real Simple and Self. CLICK HERE to learn more about Dr. Lombardo. This episode is brought to you by Renal Care Registered Nursing Services. Providing acute dialysis and plasma exchange services to Metro New York-area hospitals for nearly 20 years. Visit them at www.RenalCareRNS.com. In this week’s episode, host Jim DeMaria speaks with licensed psychotherapist and author of “Healing and Transformation Through Self-Guided Imagery”. Leslie is a pioneer in the role of guided imagery in psychotherapy and integrative medicine, and is a licensed Marriage and Family Therapist with Master’s Degrees in both the arts and psychology. Leslie is also an ordained minister in an interfaith Sufi tradition. Her unique background and creative work has been influential in a health-care revolution that recognizes the role of meaning and the spiritual dimensions of life as an integral part of health and healing. CLICK HERE to follow The Nurses Station podcast on Twitter. The Nurses Station–a Podcast by Nurses, for Nurses. This episode is brought to you by Renal Care Registered Nursing Services. To learn about exciting careers in dialysis nursing, visit http://www.RenalCareRNS.com. In this episode, host Jim DeMaria speaks with Danny Gutknecht, CEO of Pathways in Healthcare. CLICK HERE to learn more about rnpathways.com. The Nurses Station–A Podcast for Nurses by Nurses Dealing with all Things Nursing. CLICK HERE to subscribe to The Nurses Station podcast in iTunes. In this episode, Jim DeMaria speaks with Physical Therapist and wound specialist, Renee Cordrey. 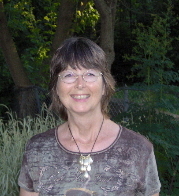 To learn more about Renee and the work she does, visit www.AAWCOnline.org. The Nurses Station- A Podcast for Nurses by Nurses. This episode is brought to you by Renal Care Registered Nursing Services. Providing acute dialysis and plasma exchange services to Metro New York- area hospitals for nearly 20 years. Visit them at www.RenalCareRNS.com. CLICK HERE to subscribe to The Nurses Station in iTunes. It’s free. In this week’s show, Jim DeMaria speaks with Kathryn Merrow, a neuromuscular message therapist wh0 ,since 1993, has helped people manage their pain or become pain-free. To learn more about Kathryn, CLICK HERE. Send us your emails. We love to hear from you. In our upcoming episodes, Jim will answer your nursing questions on the show.